IIITM Kerala 2019 Application form has been Released on 1st March 2019. IIITM is referred to as (Indian Institute of Information Technology and Management), Kerala which Kerala organizes CAT (Common Admission Test) & ITRAT (Research Aptitude Test) every year for candidates. IIITM Kerala is an autonomous Institution. It is a national level entrance examinations. Candidates can get admission into M.Sc courses through CAT 2019 entrance exam. Admission will be done in them. Phill courses through ITRAT 2019 exam. On the bases of candidates, scores on GATE or NET admission will be done on these courses. Through this article, candidates can get complete details about IIITM Kerala 2019 which includes Application Form, Fees, Exam Dates, Eligibility Criteria, How to Apply. IIITM Kerala 2019 Application form has been Released on 1st March 2019. Click Here Application Details. B.Sc Computer Science course in Cyber Security, Data Analytics, Machine Learning, and Geospatial Analytic. Phill in Computer Science and Ecological Informatics. Applicants will get their application form online on the official website. 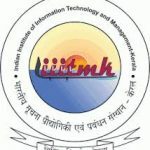 IIITM Kerala 2019 Application form has been Released on 1st March 2019. Applicants must read the rules and regulations very carefully before giving the form. Suppose if the candidates want to apply for more than one course, then they will have to apply for separate application forms. Applicants who have passed their bachelors degree in disciples of engineering/technology/science and mathematics will be eligible. Get at least 60% or CPI/CGPA of 6.5 OR top or above in 10 points of a passing mark. Applicants should have a pass for Geosciences Specialization. To those who are sitting for their previous exam can also register. GATE/CUSAT. CAT mark holder is not allowed from the test. Candidates who have got a pass mark in Natural science or physical science will be eligible. Coming applicants are also eligible. GATE/NET/CUSAT CAT marks holder is not allowed for the test. Applicants who have passed in their computer, science/information technology/computational science and so on are eligible for this exam. Applicants who have 60% mark or CGPA of above 6.5 in 10 points will be allowed. Newbie candidates are allowed to register. The Examination will be conducted online computer-based Test. IIITM Kerala 2019 Exam will be Held on 9th June 2019. There will be 60 multiple choice questions which will be asked. The exam paper will be out of 60 marks. Applicants will have one hour to complete the paper. This examination paper will be asked from General science, general knowledge, English & Reasoning, Mathematics & Fundamentals of Computers. Prepare a timetable and study according to that. Eat healthy food at the right time. Revise the past papers what have been given by the authorities from the library. Do yoga every morning so that you can be fresh. the syllabus will be comprised of the following subjects, i.e. General Knowledge, General Science, Mathematics, English & Reasoning & Fundamentals of Computer. There will be no specified syllabus for the examination. Other Cities: Chennai, Madurai, Hyderabad, Kolkata, Guwahati, New Delhi, Patna. IIITM Kerala 2019 Hall Ticket will be Available on 1st June 2019. No hall tickets will be in the university or sent by post or courier. Applicants will check their marks on the official website of the university. IIITM Kerala 2019 Result will be Declaring on 2nd June 2019. Applicants, who have passed in their written test, will be called for the interview round. The university will get out individually merit list for CAT, ITRAT, GATE for the past candidates. After passing the cat exam, applicants will have to pass the interview rind under the supervision of CUSAT. During the day of the interview, Applicants will have to check their documents in original. The final rounds will be done by doing the written & Interview round. The registration for M.SC course will be done by GATE OR CUSAT CAT marks. For any other queries about IIITM KERALA 2019, you can leave your queries below in the comment box.